So nice! Love the natural leather! This is gorgeous - would love to use it for toting things around on weekends or carrying things back and forth to work! This is adorable and functional! Yes to totes with zippers! What a terrific tote- classic. Thanks for the giveaway! This is such a gorgeous bag. Would love to win. Thanks for the giveaway! These bags are so nice! Love it! Looks like a great carry-all. This bag is beautiful-would carry it everywhere!! So rad! Love the bag! wow - what a great bag! 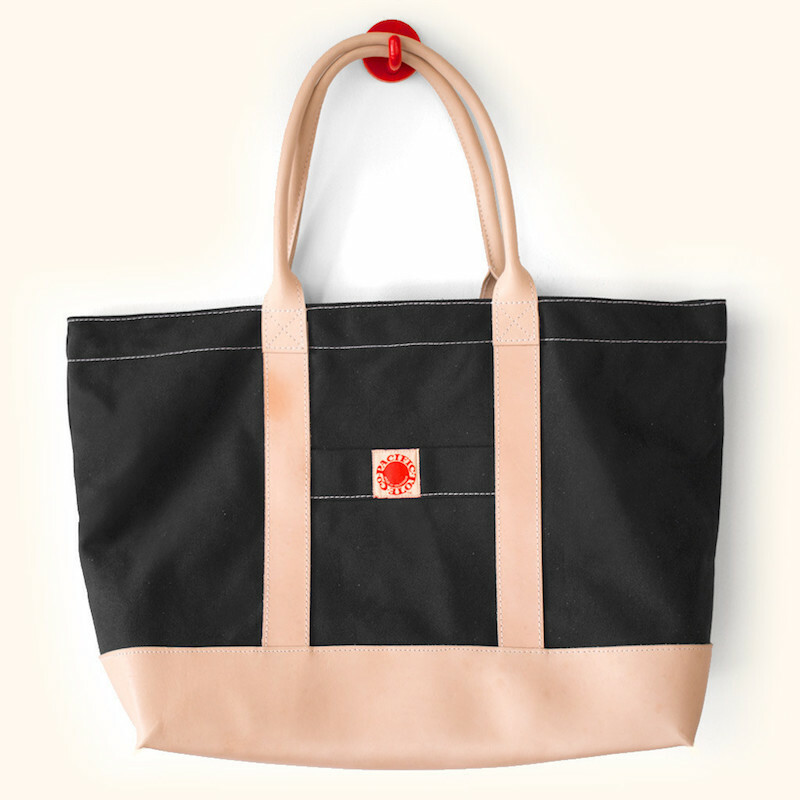 A gorgeous and sturdy tote bag with a zipper, oh a traveler's dream! Great bag! Just went on a trip and that bag would've been perfect. Maybe next time?? How could I NOT roll the dice. Such a solid, beautiful all around bag. a Moonrise Kingdom bag! It's perfect! Perfect tomboy style travel bag! Great proportions, neat logo and it closes. Are non-US citizens also elegible for the giveaway? If so, I'd love to take part of it, too. Wow! How multi-talented is Roman Coppola! This bag looks well made and so cool! I'll carry this everywhere if it were in my hands. Super stylish and versatile. I love it. Looks like a great one for plane trips! That could be my go-to-work bag for sure. It looks like a durable & fashionable tote to use on vacation. Thanks for the giveaway! I use canvas tote bags for everything from hauling laundry to hauling pumpkins from the farmers' market, from track meets to federal court...but I do not have a single canvas tote with a leather bottom and straps, so now would be a great time to add one to my collection! This bag looks great! I love the fact that it has a zipper, so much better for travel! Love the zipper and dimensions! Such a great classic bag! Thanks for the giveaway! Wow - very handsome! Reminds me of a bag I might have found at the Design Research store in Cambridge back in the day. Anyone else remember that place? Looks like it'd last forever! Love it! Great bag, love the colors and the zipper! What a beautiful bag - thanks so much for the giveaway. I just realized I lost my good big tote bag in my move/divorce...could so use this! Gorgeous! What a talented guy. Gorgeous bag! I would use it for multiple things. Both fashionable and functional. Couldn't ask for more. Cute bag! It's the perfect size for short trips since I'm such a light packer. Hot damn, that bag is pretty! Classic! Would love to carry this one. If I dont win it's definitely going on my holiday wish list!!! It's beautiful and I love the design! I'd love this! Pick me! a zippered tote! i didn't think they existed! This bag is perfect, just perfect. What a great looking classic! I'm a sucker for a good tote. Zippers and canvas and leather? Yes please. Yes to gold hardware, leather handles, durability-vibes, and multiple-use totes! Would love to own this. Great bag! I love it. What an amazing bag! I would love to win!